Why Failing to Install a Pool Fence Could Land You in Trouble? Pool Fence Installation, Its The Law!!! A pool is often a source of great enjoyment, that is why your pool fence installation is critical. However, as far as pools are concerned, hazards are always lurking around the corner. The glistening appeal of a pool may mask a lot of danger, which should not be trifled with. For instance, a small distraction to a parent supervising kids as they swim can result in disastrous consequences. In fact, most reported cases of child-related drowning in the U.S. occur when parents or guardians are distracted, even for a short duration. Parents need to be extra vigilant while children are using the pool, but when the pool is not in use the scenario becomes more complicated, especially if they have not installed a pool fence. Here is how failing to install a pool fence could land you in trouble. What happens when kids gain unauthorized access to the pool? Kids mostly learn through imitation. However, they have the uncanny ability to do engage in mischief. For instance, they may try to “practice” their parents’ strokes in the pool in an effort to impress their friends. When they do this without their parent’s awareness, it could be a recipe for disaster. In essence, the prospect of unknowingly having children in the pool area can be very unsettling. As such, if you have not invested in a pool fence yet, trouble could be brewing. A pool fence installation, an effective pool safety barrier to help prevent accidents. Pool fences are essential in fulfilling building code requirements. Failing to install a pool fence Installation means you could fail to secure the necessary legal building approvals. Are you also aware that children are the most prone to injury or drowning in the pool? According to the US Consumer Product Safety Commission, children below the age of three account for up to seventy-five percent of pool-related child deaths annually. These staggering statistics are a clear indication of the need to install pool barriers or fences around your pool. What are the legal implications of failing to install a pool fence? Pool safety laws require the installation of a child-resistant Pool Fence Installation to deter children from gaining unsupervised access to the pool. Failure to do so is an indication of the pool owner’s disregard for safety. Consequently, you may be held personally liable for injuries sustained by kids who venture into the pool. Therefore, it is incumbent upon a pool owner to take proactive steps to safely maintain their pool. Failure to do so amounts to negligence, which is an offense under the state or local pool safety laws. As such, compliance with the law is a surefire way to avert litigation or other related bottlenecks. Additionally, your legal liability extends to the unauthorized use of your pool. This means that even if you have installed a Pool Fence Installation as a safety precaution, you may still be liable should a child be injured in your pool. 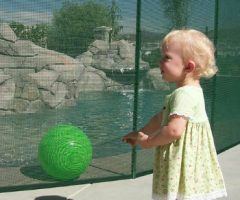 This may occur in case you use an ineffective pool fence such as a chain link fence, which kids can easily clamber over and gain access to the pool. In this regard, consider installing a strong pool fence that eliminates the risk of unauthorized access. For instance, a mesh pool fence is an ideal choice, as it does not feature slats that kids may use to support themselves as they try to access your pool. Ultimately, pool ownership involves a lot of responsibility. Installing a Pool Fence Installation is one of the best steps you can take to avert the risks associated with the use of your pool. 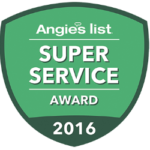 By installing a sturdy deterrent, you would enhance your pool’s safety and eliminate numerous concerns.